The steadily growing support for Kamala Harris in the Jamaican and Indian communities may just give her the 2020 presidential push she needs. Defense attorneys for Chanel Lewis, the man accused and charged of the assault and murder of jogger Karina Vetrano nearly three years prior in Queens, New York, are accusing the NYPD of racial bias on their client, after an anonymous letter has come forward alleging foul-play. AMC Theatres has decided to honor the late Rev. 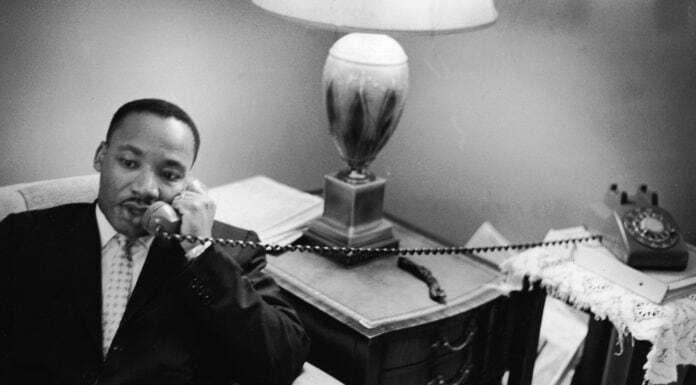 Dr. Martin Luther King Jr. with free showings of the 1970 documentary, King: A Film Record... Montgomery to Memphis. Black Hollywood elite, including Gabrielle Union, Don Cheadle, Uzo Aduba and more are protesting against Georgia's recently passed HB481 bill, also known as the Living Infants Fairness and Equality (LIFE) Act, which bans the performance of abortions six weeks post conception. Dem. Senator Kamala Harris welcomed Beto O’Rourke’s announcement that he has officially launched his run for president in 2020. Former child actor and Disney star, Kyle Massey, is being sued for sexual misconduct after he allegedly sent explicit texts, videos and photos to teenage girl back in December. The Miramar, Florida mayor Wayne Messam wants to throw his hat into the 2020 race to become the 46th president of The United States. Lori Loughlin's husband Mossimo Giannulli allegedly believes there are a lot of "takers" and "entitled people" in this world. After failing to include actress Danai Gurira on the original Avengers: Endgame movie poster, Marvel Studios has re-released a version of the poster with Gurira's name. Taquesta Graham, the mother of Trinity Love Jones, the 9-year-old girl whose body was found inside a duffel bag near an equestrian trail in Hacienda Heights, was recently extradited to Los Angeles from Texas. The National Geographic Channel announced that they'd completed their investigation into the allegations against Dr. Neil deGrasse Tyson and will resume airing episodes of Cosmos and StarTalk. Despite opting out of the BNP Paribas Open tournament, Serena Williams was spotted singing Ricky Martin's hit song "Livin' la Vida Loca" at karaoke night in California.